Copyright, 1897, by Chas. H. Harris. Words and music by Chas. H. Harris. Gleams a light to tell me daily that she loves no one but me. Since I've won the heart of Daisy, pretty blue-eyed Daisy Dann. 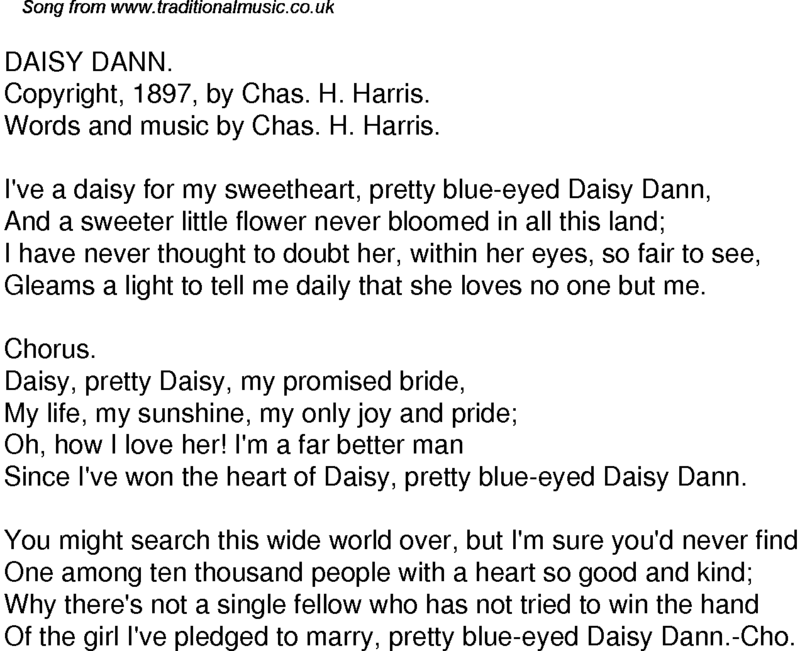 Of the girl I've pledged to marry, pretty blue-eyed Daisy Dann.-Cho.